Join us Monday, June 10th in the Whitebirch Room (upstairs) at the Breezy Point Resort (9252 Breezy Point Drive in Breezy Point, MN). Social hour and silent auction start at 6pm with the program to start at 7pm followed by the Build-a-Home and live auctions. Cash bar will be avaiable. 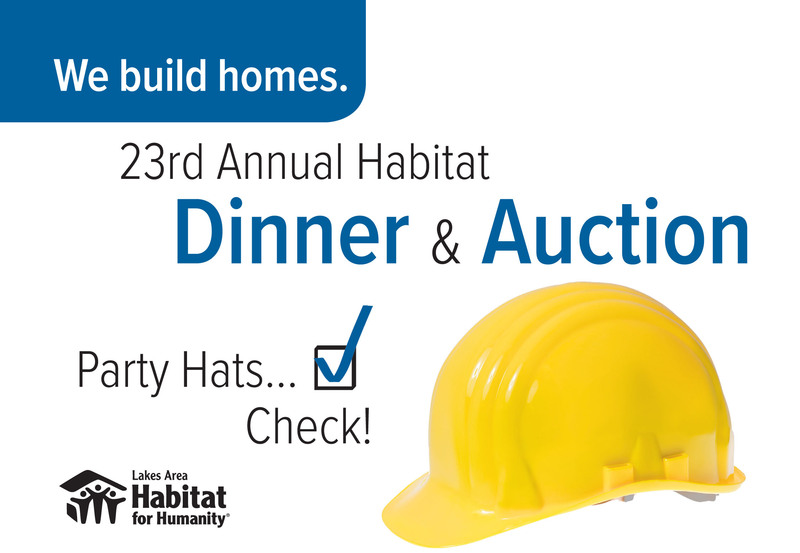 This event will support a Habitat for Humanity home being built with Deb Kowalzek and her son Brady in Brainerd. Site Dedication: Join us on Sunday, June 9th to bless the site for the Kowalzek home which will get under way on the 10th. Home Tours. We want to give you an opportunity to see what families live in before a Habitat home, the building of a home, and a completed Habitat home. A 21 Day Build. Yes, start to finish of a home in 21 days. We could use volunteers! Lunch at the ReStore: Wednesday, June 12th from 11:00 – 1:30. Check our website for further details or call Karen to volunteer at (218) 454-7020. We will see you at 6pm on June 10th!